at how easy this tutorial is! Aztec and other geometric prints on clothing are EVERYWHERE these days! 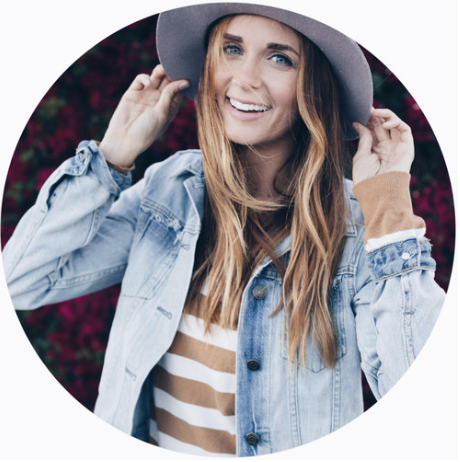 I decided it was time to add this fun trend to my closet!! was having an amazing sale and coupons galore! I decided to stop in and see if I could find anything great. 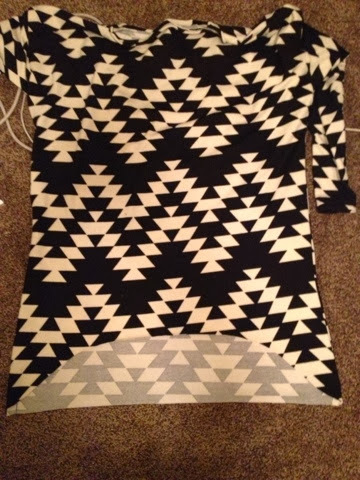 Well I found this geometric/Aztec printed knit. It wasn't on sale, but I had a 60% off coupon! SCORE!I got 2 yards of it because I loved it so much and to make sure I had enough fabric for my project. I decided to go for a high-low tunic. Something comfy but cute that I could dress up or down. 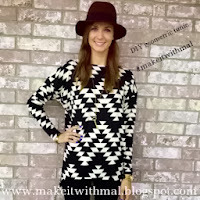 And this knit is perfect because it is actually really warm, yet breathable! 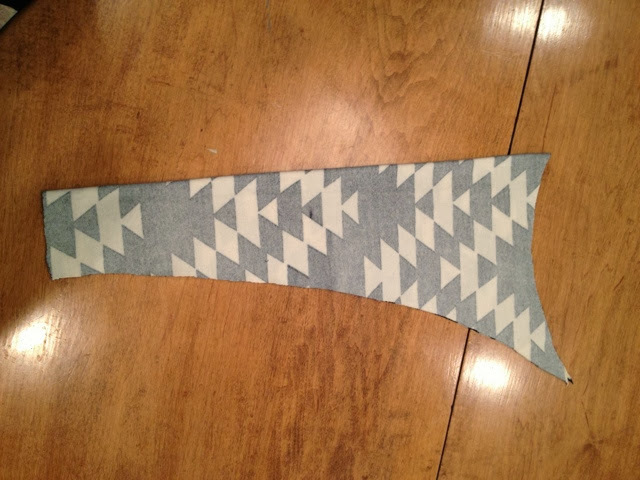 Lay your fabric flat, right sides facing in, draw your pattern out or use a sweater/ shirt you like and trace. 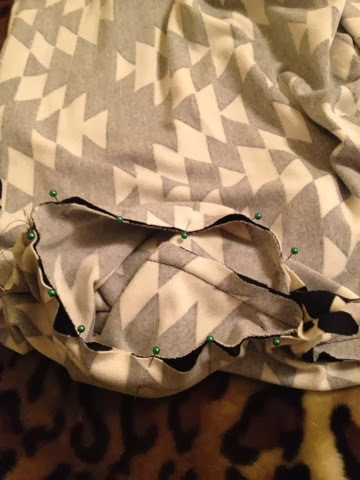 make sure to leave 1/2 inch for seam allowance. 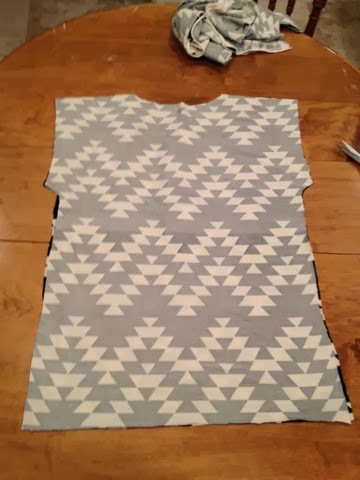 When cutting out your sleeves, make sure you cut it on the fold, also make sure your print will go the same way as the body of your fabric- this is a huge step when cutting and using any kind of design. 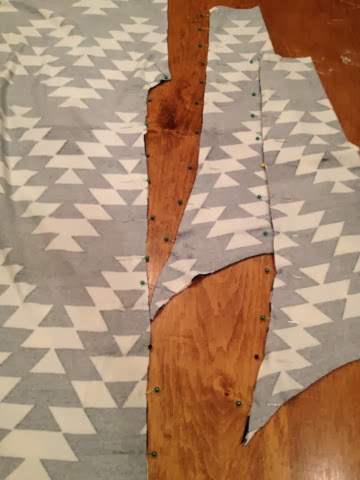 Sew right sides together, pin and sew the shoulder and sides of the shirt. Also sew sleeves. Turn sleeve right side out. Insert it into the arm hole, pin and sew. Do this to each arm. For a "high-low" affect cut an arch out on the front panel of fabric. 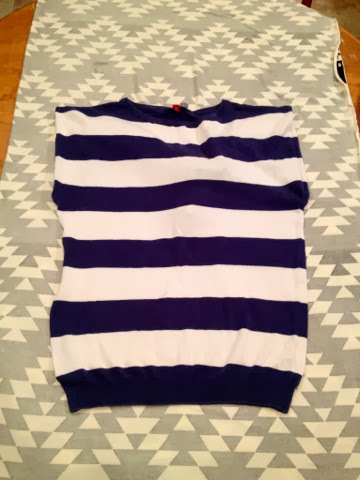 Hem neck, sleeves, and bottom of shirt. ENJOY!! Pair it with some leggings and your favorite boots, maybe even a hat! I'd love to see what you made! 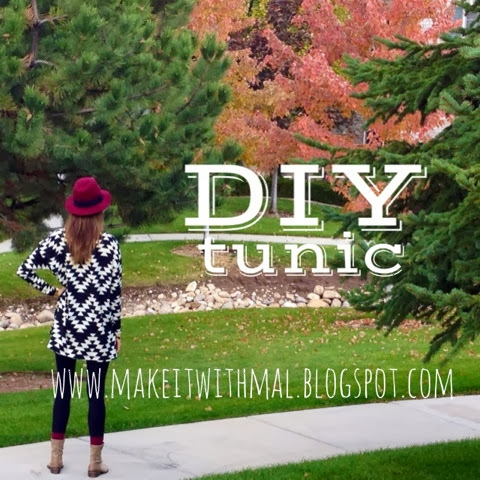 pictures and get featured on the blog! and I'd be happy to make one for you!